Email attachments to your cloud drive. Send to Dropbox forwards emailed attachments to your Dropbox folder. Move files from one cloud service to another with Mover. It supports Box, Dropbox, Google Drive, SugarSync and company FTP servers. Set the cloud as your default download destination. Go into your browser’s download settings and changing the destination to any folder that’s set to sync. Auto-save Gmail attachments to the cloud. Attachments.me, a free browser plug-in for Chrome and Firefox, gives you one-click attachment uploading to Box, Dropbox, Google Drive or SkyDrive. Sync unlimited folders among PCs. Cloud storage service Cubby works like Dropbox, but you can sync unlimited folders between PCs. Synchronize browser settings across all devices. Chrome and Firefox offer built-in bookmark syncing. Xmarks offers a similar sync tool for Internet Explorer or Safari users. Save Web content to read later. Both Instapaper and Pocket can store “clips” for reading on mobile devices. Put out a blog or website. Pancake.io turns text files into webpages and then uploads them to a Dropbox. Back up a blog or website. WordPress users can use the WordPress Backup to Dropbox plug-in and other users can use Backup Box. Access Dropbox files offline. Open any document, and tap the star icon to add it to your favorites list. Access it without an Internet connection. Send and receive faxes. Web-based HelloFax integrates with cloud storage services, enabling you to fax documents directly from your cloud. Print from your iDevice to Dropbox. Collobos’ FingerPrint software for Windows lets your iPhone or iPad print to any connected printer, but it also supports virtual printing to cloud services. Turn your tablet or phone into a scanner with one of these apps. Doc Scan for iOS, Genius Scan for Android and Handyscan for Windows will take a snapshot of any document, and convert it to a PDF. — Adapted from “21 tips for supercharging your cloud storage,” Rick Broida, PC World. If you are owner of a WordPress site you should try BackWPup. It’s an All-in-One backup plugin, which allows you to backup to the cloud, ftp, email and many more. There is a free and pro version. Such a interesting post!! One of the bestest post for the individual or any businesses who are always worried about their data securities. Here. are many important tips for the clouds storages. 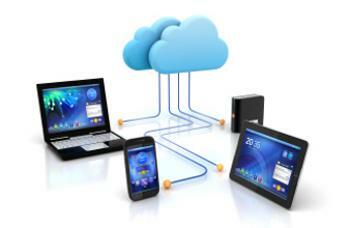 For small and midsize businesses (SMBs), the benefits of cloud computing are endless. Cloud computing saves businesses time and money by boosting productivity, improving collaboration and promoting innovation.